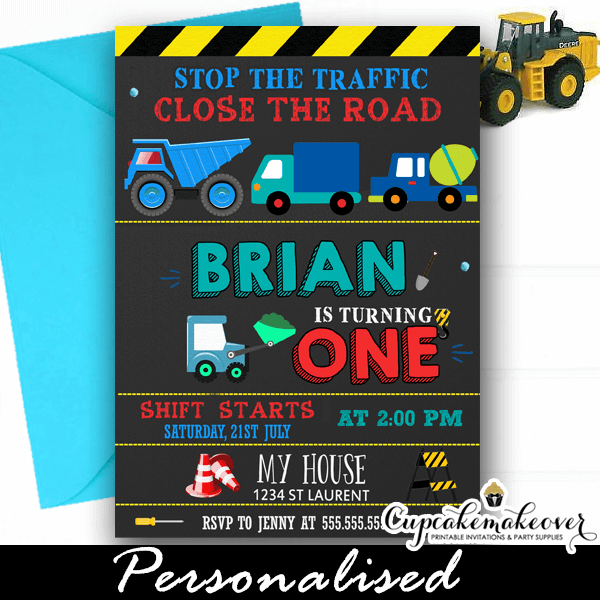 Blue Dump Truck Party Invitations to celebrate your little boy’s construction themed birthday! 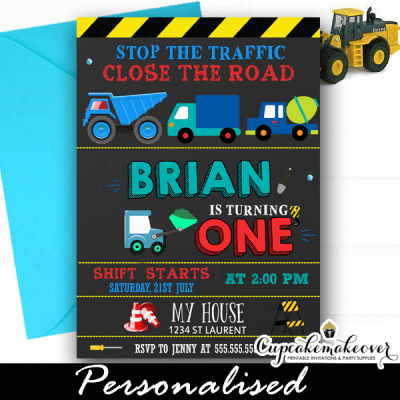 These personalized Dump Truck Party Invitations feature blue trucks, cute road elements and a front loader against a gray backdrop. A great way to prep your guests for a construction birthday party with loads of fun!